Jon K, Pat Thomas - Asafo / Enye Woa. Vinyl 12. Bleep. 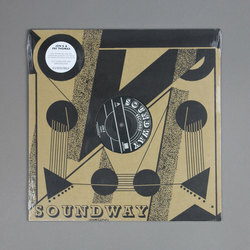 A neat single from Soundway here in the vein of the label’s wonderful ‘Mangase’/‘Hafi Deo’ split. The late Ghanaian singer Jon K released his second and final LP Asaboni in 1989. It’s opening cut, ‘Asafo’, is a raucous dance track that updates C.K. Mann’s 1975 original by giving it a slick ‘80s funk makeover. Flip the thing over and we get Pat Thomas’ ‘Enye Woa’. Strangely absent from the many recent Thomas reissues and compilations, this ‘burger highlife’ joint features Rex Gyam and horn arrangements courtesy of Ebo Taylor.